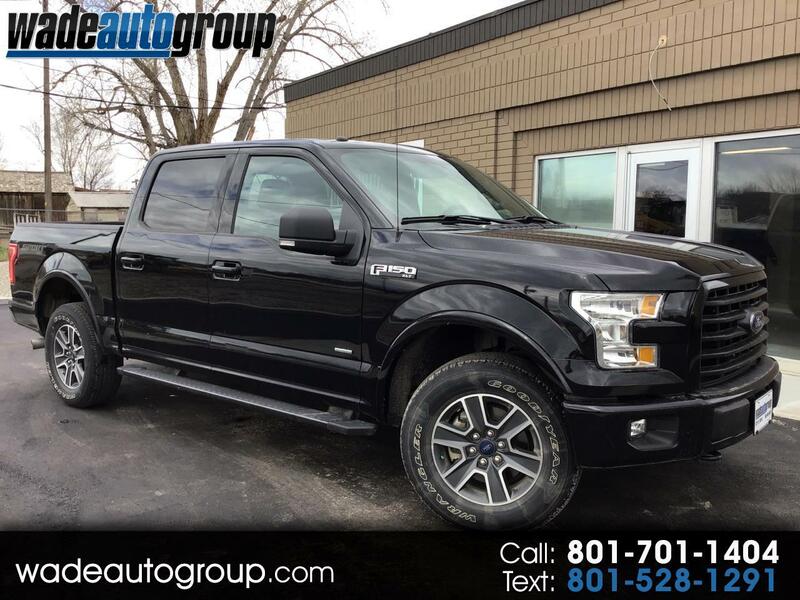 2016 FORD F-150 XLT 4x4 ECOBOOST SPORT SUPERCREW 2.7L V6 TUBRO, Black w/ Black Interior, 32k Miles, Still Under BUMPER TO BUMPER Warranty!! Large Radio Screen, Navigation, Back-Up Camera, Tow Package, Power Seat, Bluetooth Connection, Sync Stereo, , Running Boards, 18 Inch Wheels. Here at Wade Auto Group we sell quality vehicles at low prices. This car has a CLEAN TITLE. Call now or visit us at www.wadeautogroup.com WADE AUTO GROUP 12277 South 700 West Draper UT 84020 ''You've got it made with WADE'' WE BUY TRADES.....Extended Warranties available, call for more informatioN.